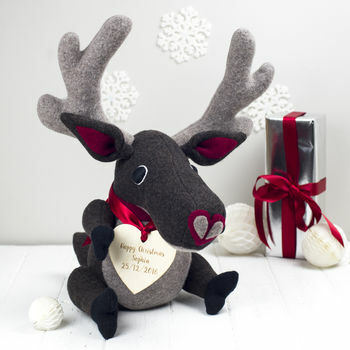 Vicky designs and handmakes unusual personalised soft toys from softly felted Yorkshire lambswool. Lovely gifts for birthdays, christenings and Christmas. 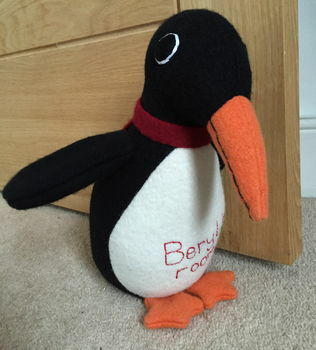 If your looking for a high quality, unusual and personalised soft toy, you've come to the right place ! 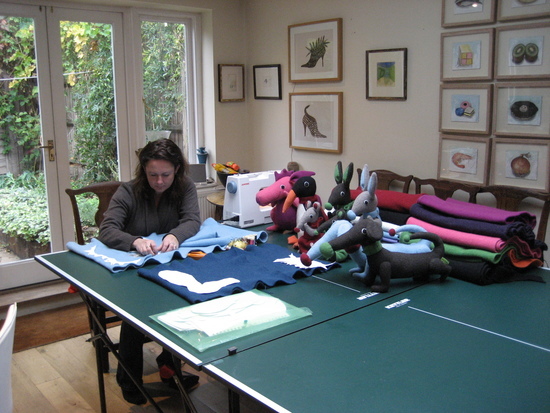 Here at cdbdi Vicky specialises in designing and making personalised, soft toys and thoughtful gifts from beautiful lambswool. I softly felt the wool which comes from Denby Dale in Yorkshire to create a cuddly, quality finish that is built to last and be handed down to the next generation. 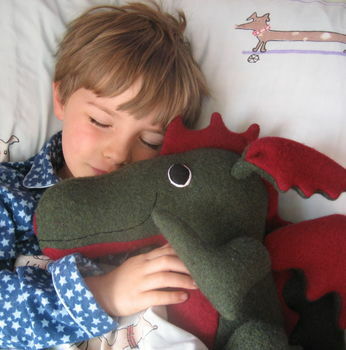 I started the business because i couldn't find any British-made, non mass produced dragons for our two boys, who are now teenagers. Having given up my job to look after them i went back to my first love of designing and making and haven't stopped since. The toys have been bought for adults as well as children ! 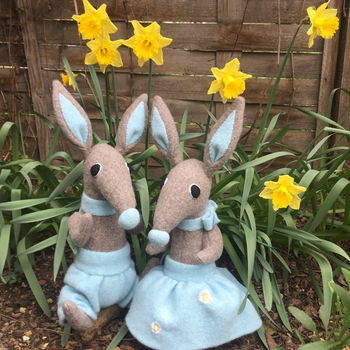 To make the toys an even more special gift for Christening, Birthday or Christmas they can have a hand sewn name embroidered on and can also come with message on a scroll, this is £5 extra. I ship worldwide and am happy to say there are cdbdi products in all corners of the world. 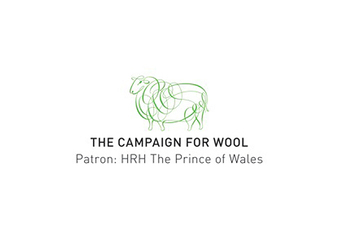 Member of the campaign for wool. I was very happy to be asked to help promote Prince Charles's campaign for wool last year. The toys were asked to go and stay in a house entirely decked out in gorgeous wool products, it was promoted as the wool b&b ! 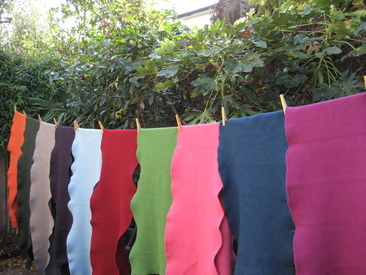 Wool is an incredibly versatile, eco friendly, pure and sustainable material to work with. The aim of the campaign is too raise awareness of its superior quality and how many amazing things you can use it for. All the toys are made from softly felted lambswool. "This was a very specific request for my 6 year old daughter's birthday - a violet rabbit called Violet! The rabbit was beautifully made and the detail is exquisite. It was so beautiful and so close to what she asked for that she cried when she opened her present. It hasn't been out of her sight ever since. Brilliant service, gorgeous product, will definitely be back"
"The quality of this dragon is beautiful- really well made & high quality materials. My son was born in the Chinese year of the dragon (2012) & as we live in Hong Kong, I thought this would be a nice idea for his Christmas present. But all children love dragons anyway & I can see his sister wanting one too.............. very impressed & I would definitely recommend this toy as a lifelong friend for a special present. Well done!" 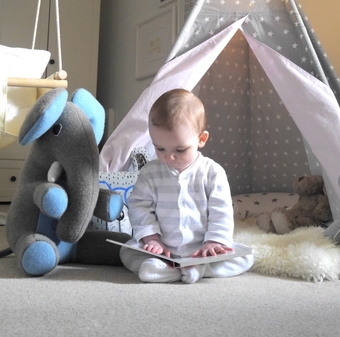 "Bought for our son's first Christmas present, beautiful and very well made product, I had really high expectations & it managed to exceed them! I'm sure this will be something he treasures as he grows up. 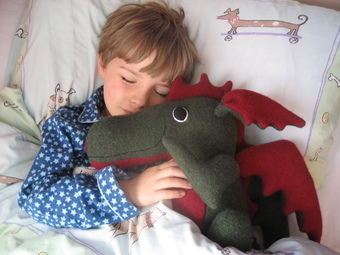 We are very tempted to get him a dragon for his birthday now!" "Feels good quality and the personalised stitching and font are great"
Every toy is handmade to order. i usually allow 3 days to make and then send them in free tracked post to the uk. They can be sent anywhere in the world but i do charge for this and obviously they will take a little longer to get there. At really busy times they may take longer but i will always endeavor to get them to you as quickly as possible. Please feel free to contact me with the 'ask the seller a question button' if you have any questions or special requests on any of the products and i will do my best to try and accommodate you.